If you are looking for a stable, in-demand career that offers virtually unlimited opportunities for specialising and work environments, then nursing is one of the most exciting and fulfilling career choices today. This career offers people consistent chances for continuing education and the ability to participate directly in patient care, which allows patients to become healthier while you gain immense job satisfaction. A nurse is a trained professional who provides care and support for people who are ill. They may educate patients on the management aspects of a health condition. Alternately, nurses may provide treatment and support on chronic diseases or a temporary condition. A nurse will carry out procedures at the request of a medical doctor or senior nurse practitioners. A nurse has a very interesting role that combines caring with medical knowledge. Where Can a Nurse Choose to Work? Nurses can be found in most areas of health care. They have a strong presence in intensive care units or in emergency rooms. They also work in smaller private or community clinics as well as in supportive roles in cosmetic practices, specialist physician offices and integrated health care practices. Another area where nurses play a vital role is in child development and health. Whether a town is very rural or closer to the city, chances are high that there will be nurses working in the community. With health care being necessary for each and every one of us, nurses are needed in all sectors of health care to support and promote health. On top of that, nurses work in the research sector in clinical research organisations, where they ensure that patient care is maximised and that patients are monitored during clinical research trials. They even have roles in the government at the national level, where they influence policy making and regulations. Nurses can work in the community or in schools, where they promote health and participate in public education campaigns. They also work in administrative roles in hospitals and other health care environments. With a major shortage of qualified nurses in the National Health Service (NHS), now is an excellent time to embark on a nursing career. As nurses continue to retire and too few people become nurses, the situation can become critical and the shortage will continue to increase as our population grows and health care needs similarly climb. Another important aspect to note is that the way health care is directed is also changing. As the need for more hospital beds goes up and the health care system is burdened with attempts to provide for patients in limited areas, health care has moved to the community and home. More nurses are providing support for patients in their homes or in long-term care facilities. There is also a greater focus on prevention as we learn more about how diet and other lifestyle factors influence the onset and management of disease. In this way, your opportunities in nursing are far broader than they were even a decade ago. For this reason, nursing is a career that can satisfy many different people. 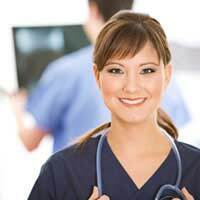 Training to become a nurse is a fairly straightforward process. The practice is tightly regulated and requires that you do complete a nursing diploma or degree at an accredited higher learning institution. A diploma course usually runs for approximately three years while a degree program ranges from three to four years. Part of your training will be provided in a classroom setting while the other part will be practically based in a hospital or community setting. In your first year, you will learn about the basic principles of nursing, followed by your choice to specialise in nursing for children or adults or alternately, specialising in mental health or learning disabilities. With so many areas of nursing to choose from, the career is actually one that can appeal to many different kinds of people with a range of strengths and preferences. Still, some of the basic qualities found in nurses are ones that are universally shared. You need to work well in a team environment and you also need to be healthy and physically fit. Emotionally and mentally, you need to be capable of handling the challenges of caring for very ill patients, some of whom will inevitably die. You also need to have good communications skills and be able to stay calm during a health crisis or when dealing with a difficult or abusive patient. Also necessary is confidentiality and the ability to make people comfortable and trusting of your nursing role. With such a shortage of nurses in the NHS, you should easily be able to find work once you have become a registered nurse. While the NHS is the most significant employer of nurses, there are still many opportunities for work in private hospitals, care homes, education and even the prison service. As you obtain more experience within a particular role, you can also move into higher, management roles as well. You can even take additional training at a later date, which may be funded by your employer. Extra training can allow you to further fine tune the direction of your nursing career. Some nurses will also work as part of the NHS Direct telephone service once they have worked for a number of years in the field. Salaries for nursing typically start at nearly £20,000 but rise up to higher levels where you can earn more than £50,000 each year working in a consultant role. Choosing a health care career is a major, life-changing decision and one that should be taken after a great deal of thought. If you have always wanted to work in a helping role and you enjoy working with people, then consider working as a nurse, where you can make a different in the health and lives of patients throughout the UK. I am one of the enrolled nurses around the globe, I chose nursing out of all the careers that were there, I'm passionate about my job, I love it, it comes from within my heart to give back hope to those who lost it, give back faith, and give back dignity....love my job so so so!